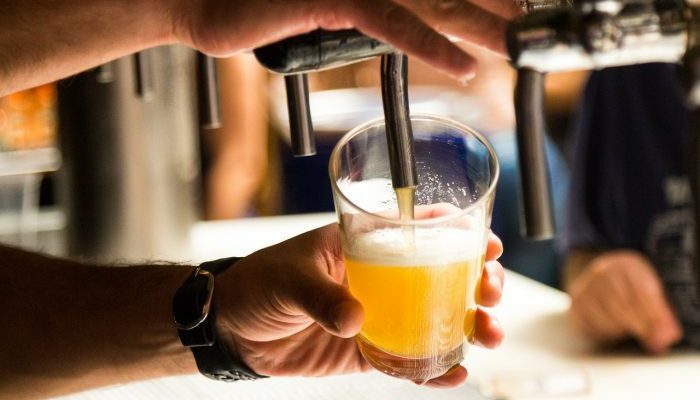 Discover the best craft beers in El Salvador with a look at some of the most happening brews and breweries in this up-and-coming beer destination. Does having a tendency to look for craft beer make me a beer snob? I have not boycotted the original, and classic, Salvadoran crew. Pilsener, Suprema, and Regia all taste fine to me. Ice-cold Pilseners are perfect with beachfront conversations. I often choose Suprema as my appetizer before a meal. And I will stick to Regia over the course of a long, meat-on-the-grill-kind-of lunch. Salud! 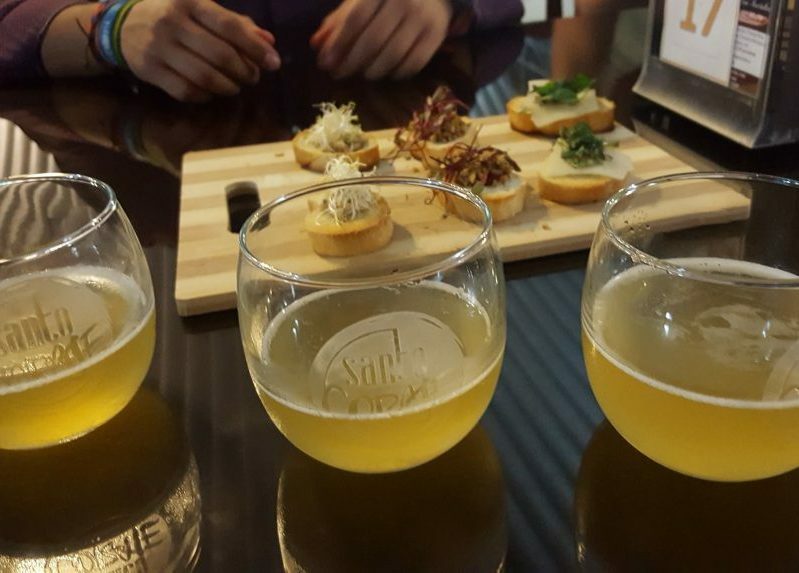 But when you say cheers and clink a tiny sample glass, and your mouth fills up with a whole new body… When it kicks in and flavors intermingle… Well, it makes you want to try more. A tiny sip from one of these and you’ll sign up to craft drinking, the art of beer tasting. I’m more of a fan than a snob. I’ve been practicing craft drinking, and as part of my practice, I’ve learned where to get the beer I want in San Salvador. While El Salvador is not overflowing with microbreweries, you can find sellers and cellars to fit the mold of your sweet niche tastes. You’ll find waves of compelling stories and a labyrinth of flavors to set different moods. And there’s an extra kick in finer, crafty beer that you don’t get from the malty light or brown, marketed beer. Little becomes a lot when quality is there. Santo Coraje was born a couple of years ago and hasn’t stopped growing. Their beers are all designed to meet different tastes and palates. Each beer in their line up has a distinct personality. You’re likely to come across a sample and sip on them all, before asking for your first pint. Santo Coraje pops up at different cultural and commercial events in El Salvador. This enables them to build a growing community that shares an interest to spread the word about them. Cadejo Brewing Company has a different strategy. Named for the Mexican/Central American cadejo legend, these guys are the bad boys of the local craft beer scene. Despite the fact that the majority of people in El Salvador drink beer from the bottle, Cadejo started producing barrels. You could only get it on tap, one of either two flavors. Now, they have two well functioning bars with a full-on menu. They serve up to five different signature beers, on top of their (always surprising) seasonal brew. Their Belgium-inspired blonde, “La Mera Belga”, is still my favorite. But that pumpkin one, “La Calabaza”, makes me go weak at the knees. Time flies when I sit down in Cadejo Brewing Company. Like Santo Coraje, Cadejo caters events. And now they even bottle its products for the supermarkets and I’ll often stop by and get some to go. But sometimes I get other bottles at the supermarket too. Depending on which one you go to, you can choose from many global brews including Rogue and Dogfish Head. Erdinger Pikantus, for when you feel like getting a light buzz after a long day. Or Sapporo for when you’re feeling light, but wouldn’t mind the lightheadedness that three of those will give you. 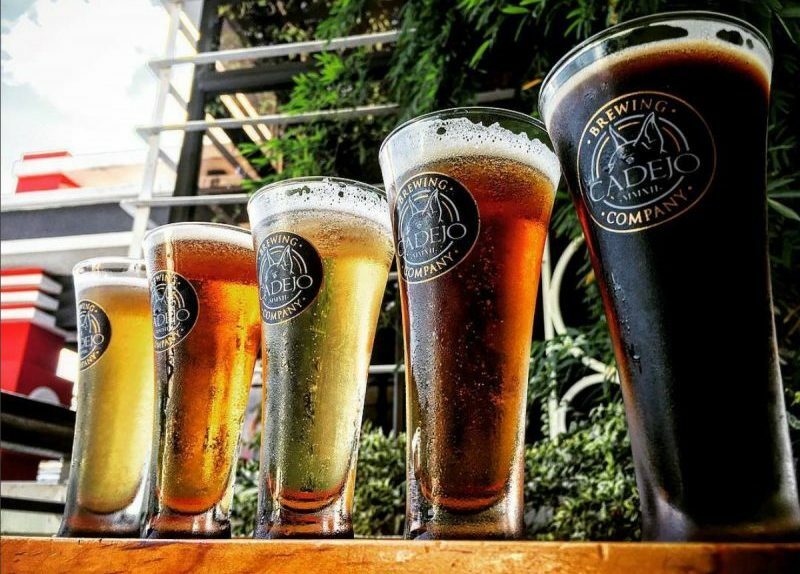 In El Salvador, the craft beer scene is every day more fertile. I am eager to keep exploring and perfecting my craft drinking. Supporting these new ways, from places to bottles, of channeling experiences. Patricia Trigueros is a free spirit, writer, and translator from El Salvador. She has the habit of drinking too much coffee and writing in English, French, and Spanish. Check out her blog here and follow her on Facebook, Twitter, and Instagram.